I could see them changing shades. At 37,000 feet, sitting by the window and flying through them as the airplane sashayed above the Sahyadris. My lips curved into a broad smile. The clouds had started loitering all over Sahyadris, ready to defeat the gory summer heat. Its time. Time to go trekking and soak in the resplendence of the Sahyadris. So what’s so special about those short weekend treks during monsoon? The best part is, you don’t need to sulk and worry about unavailability of leaves. You could just hop around during weekends. Plus, there are couple of more reasons. Firstly, if you are a pluviophile, you won’t need to hunt for reasons to get drenched. Secondly, treks are one of the best ways to stay fit and healthy (both mentally and physically). That takes care of your obsession of shedding those extra pounds gained while you gorged on all sinful stuff throughout the week. And lastly, you get to explore the unexplored; you come to know about places that might have been a trivia for you until today and places you thought never even existed. If you thought trekking was for some aliens and people from different planet altogether, give your thoughts a strong shudder. Look around when you go for those romantic long drives during monsoon, crossing the valleys, glaring at the waterfalls and wishing, if only you could touch the water or bathe under one. Why only wish? Why not live those wishes? There is much more to Sahyadris than usual visits to those dams and waterfalls (from distant) on weekends when people from every nook and corner of the city are hopping towards the quotidian. Instead, do things that you might not have dreamt of doing and feel the rush of adventure in your blood. 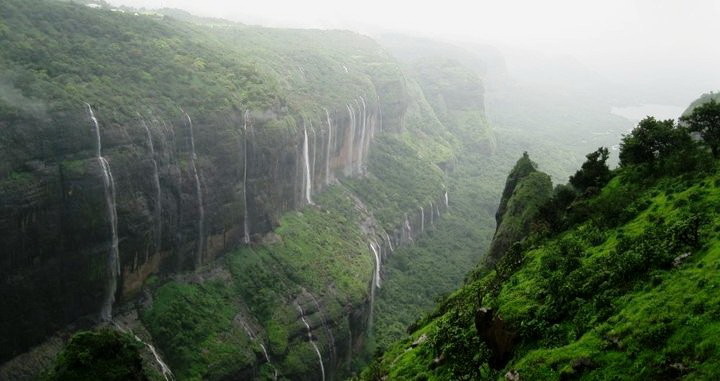 Get mesmerized by view of Duke’s Nose, The Horse Shoe Waterfall, The breadth of Lonavla from Rajmachi. Submerge yourself under the waterfall by Kondane Caves. Revere the beauty of dark while traversing through the dense Andharban forest. 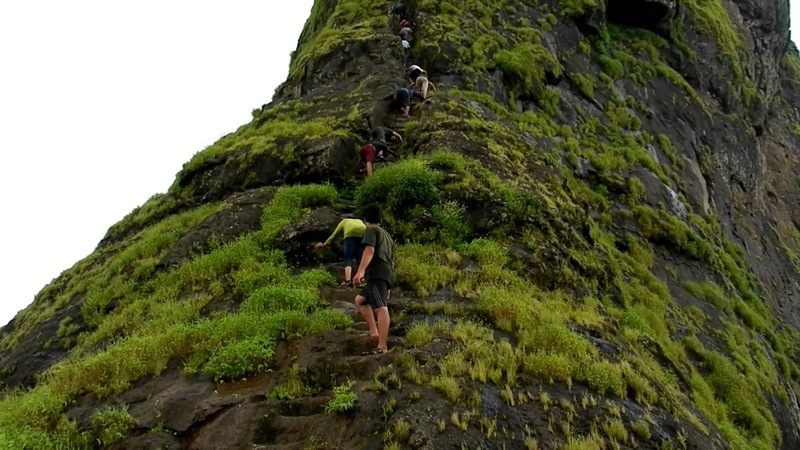 Experience the quiver of elevations while climbing the 800steep rock cut stairs of Harihar fort. Stand atop Korigad fort and have a look at the green lawn spread across Pune. 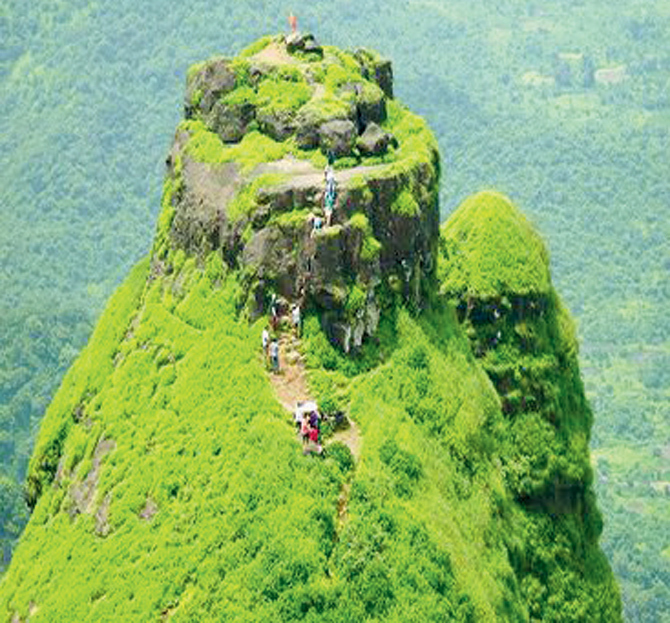 Hop on to the peak of Kalawantin Fort and take a look around, spot Irshalgad, Shrimallang, Matheran, Vikatgad and Mahuli among various other forts. The trail to Naneghat would never fail to enchant you with it’s most distinguished charm. Consider yourself lucky when you get to see “The Indravajra” from atop Konkankada (a rare phenomenon called Brocken Spectre) when you trek to Harishchandragad. Trek to Bhimashankar and you earmark your endurance levels. 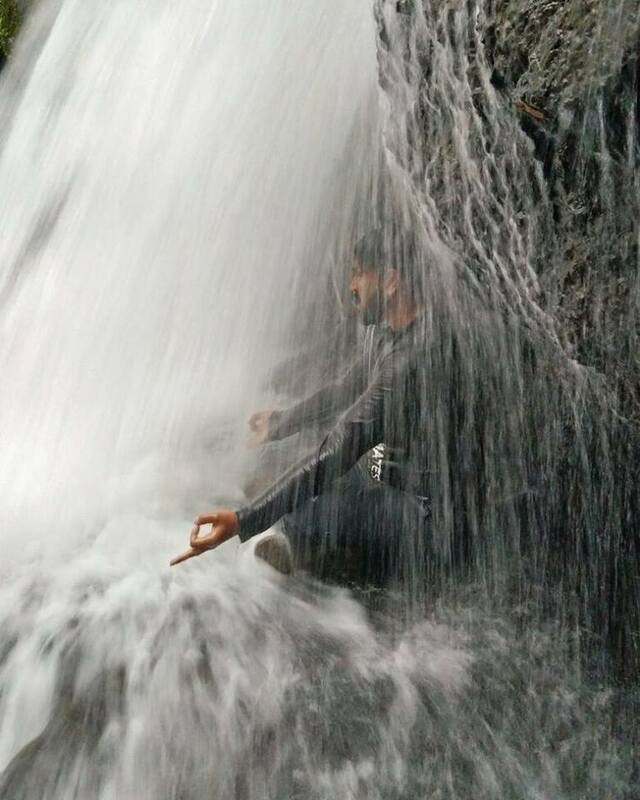 Meditate under the waterfall of Gupt Bhimashankar. Summit Mount Kalsubai and you can brag about conquering the highest peak of Maharashtra. Save yourselves from getting blown away by the fierce wind while traversing through the ridges of Ghanchakkar and Bhairavgad. 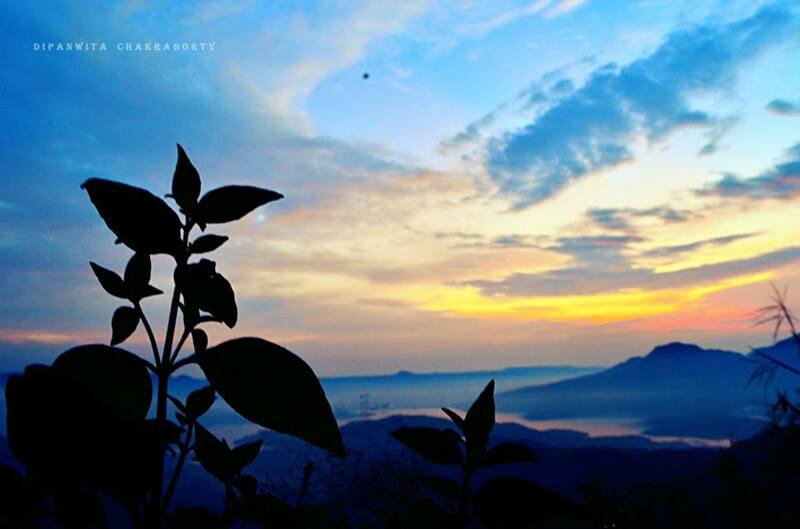 Wake up early, sit by the caves of Ratangad and if you are an ardent artist, you get to view the most beautiful portray of Bandardhara presented by nature herself. Drink from the water cisterns, bathe in the fresh water streams, swing along the giant creepers and walk through the clouds. 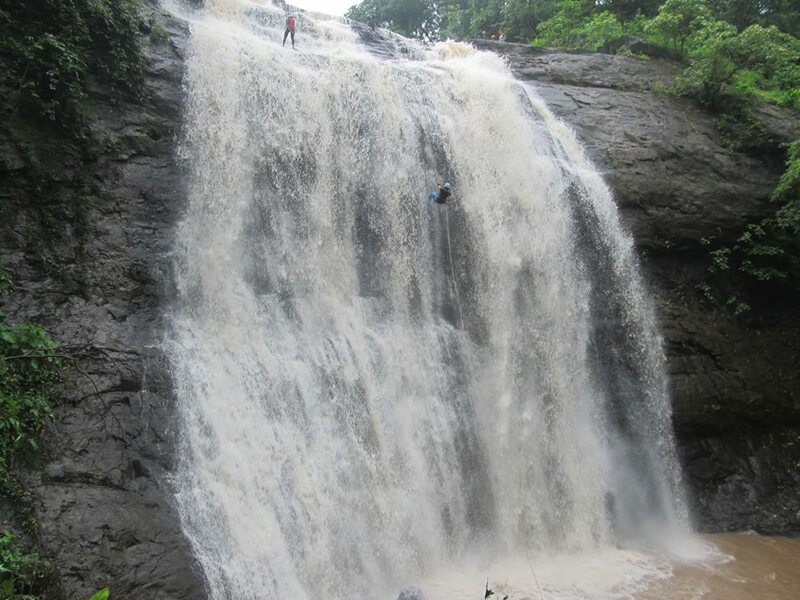 Rappel down the gushing waterfalls of Vihi and Bhivpuri. 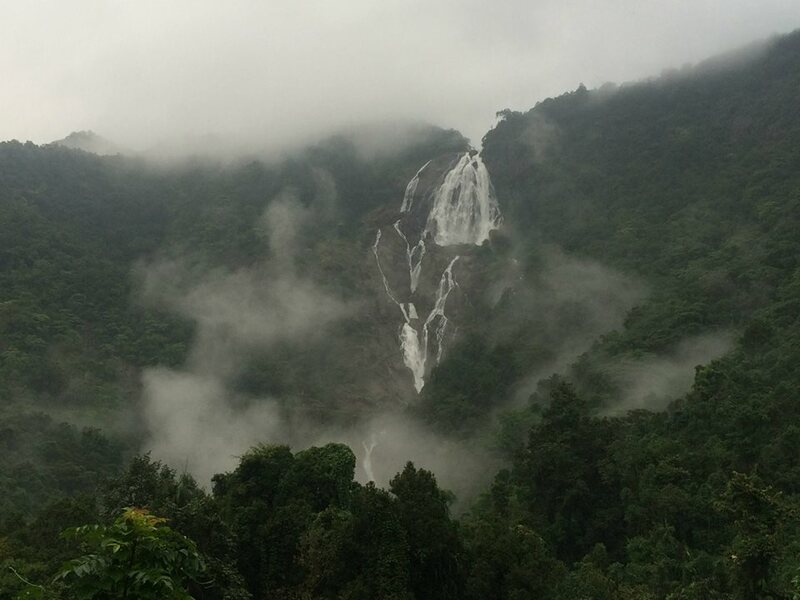 Go south and trek along the railway tracks of Goa to behold the might of Dudhsagar waterfall. Traverse through the jungle and take a dip in the Tambdi Surla Waterfall near Kulem, Goa. Beware of the leeches, they can get inside your shoes anytime. However, that’s the last thing you should worry about. Pondering upon the thought on how to go ahead for these short and worry-less weekend trips? Well, all you need to do is, visit the websites below and you won’t need to ask for more. The trek groups mentioned below would help you out. You may select a group based on the convenience of your location. Monsoon is at its peak and before it bids adieu, gear up, pack your bags with monsoon essentials, grab good trekking shoes and voila, you are all set. The pictures are sourced from Arun Kumar Dash, Sandesh Chalke and Google. 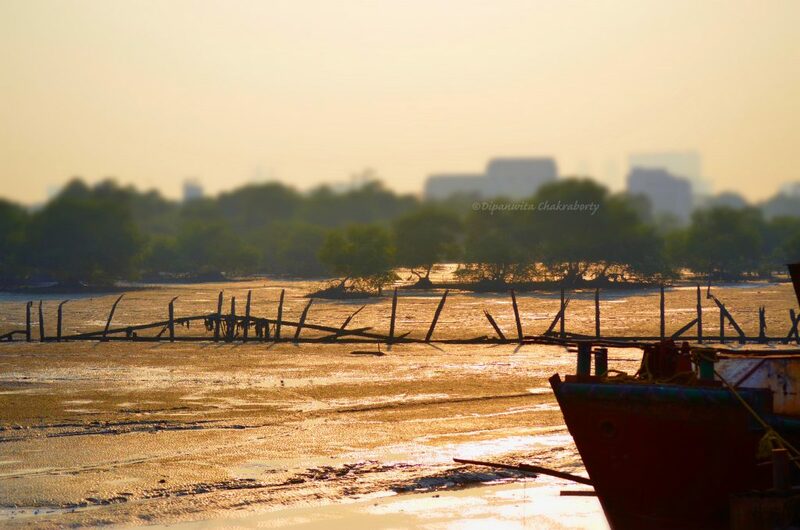 Beautiful pictures are enticing me to go for treking to such beautiful spots that are relatively untouched by human settlements.I spent my childhood in Madhya Pradesh, and Maharashtra, which have many such beautiful spots with waterfalls and river streams. Though now in my early twenties I do not have courage to go for treking any more. awesome writeup .. experience speaks !!! Glad you liked it. Do keep stopping by . 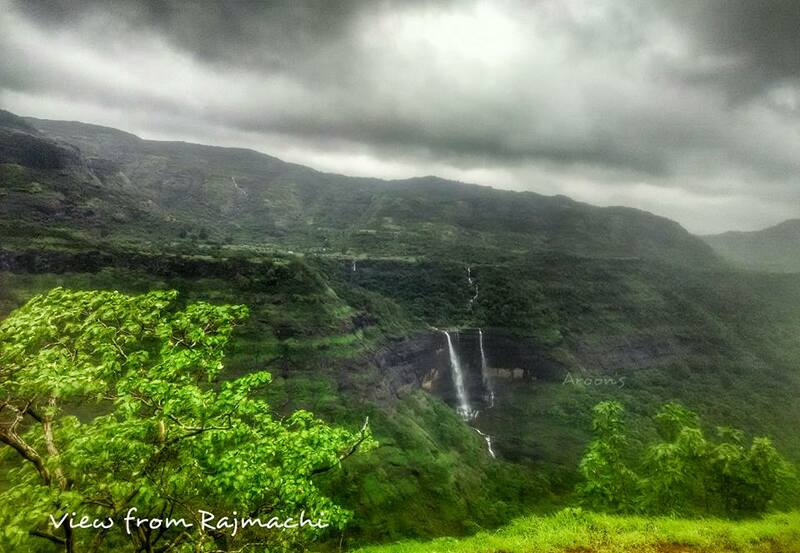 Monsoons and Maharashtra are a Killer Combo , the nature dresses upto its best ! Lovely Pics.